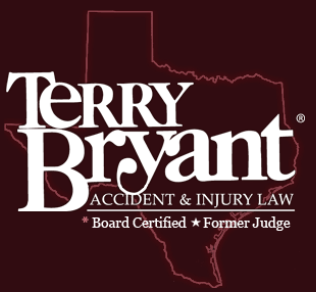 When Can You File a Personal Injury Lawsuit? And Should You? 14 years ago, the Home Safety Council (HSC) completed the first annual study on the causes of home injury in the United States. And though the numbers might have fluctuated somewhat over time, the rates of injury are highest among young children aged 5 and under (with older adults coming in a very close second). The HSC also finds that home injuries cause over 20 million medical treatments and around 20,000 deaths annually, with at least 10% of those being children 5 and under. These figures are easier to explain when considering that almost half (42%) of Americans haven’t made any attempts to create a Home Safety Plan (HSP) like those recommended by the HSC. Most people haven’t because they don’t know what to look for, or how to go about making changes for safety’s sake. Each of the links above takes you to the National Safety Council’s corresponding web pages where you can find helpful information on creating your own “safety survey” for each category and how to turn danger points that impact your kids into safe zones. Falls down stairs have been associated with between 75% and 96% of baby-walker-related falls. � Fires and Burns: According to the Home Safety Council, residential fires and burns are the 3rd leading cause of unintentional home injury deaths and the 9th leading cause of home injuries resulting in an emergency department visit. The death rate is highest for children under 5. One accident source often overlooked is an improperly installed range which can fall forward if your child leans on the front of it or climbs on the oven door. Toddlers have been critically injured when they tipped over a stove, then were doused by scalding liquids. And a huge percentage of burns are actually caused by hot water. o Suffocation: Infants are at a significant risk of suffocation due to their limited mobility. 60% of infant suffocations occur in beds and cribs when their faces are buried in bedding or a pillow, or a sleeping adult rolls on top of them. o Choking happens when something internally blocks a small child’s airway -- often parts of toys. Since 1973 – for example – more than 110 children have choked to death when chewing on or blowing up latex balloons. Also, they don’t (or sometimes can’t if they are teething) chew their food properly. This can place them at acute risk for choking on small, round foods that perfectly block their airway. o Strangulation: It’s easy for a child to get things wrapped around their neck, like drawstrings, ribbons, necklaces, and window blind cords. On average, one child each month dies by strangulation from a window blind cord alone. It’s also easy for a small child to be strangled by openings that trap their head, like spaces in furniture, cribs, playground equipment, and strollers. � Drownings: Even though most don’t happen in the home, of those that do, 80% occur to children ages 4 or under in a bathtub or swimming pool. Drownings are the 5th leading cause of home injury death in the U.S.
More than half occur to infants (children under age 1) in bathtubs. Another 12% of drowning in this age group occurs in buckets. More than half of drownings among children ages 1 to 4 are pool-related. Most children who drowned in swimming pools had been out of their parent’s sight for under 5 minutes. � Miscellaneous – Beware of Dishwashers: They give children easy access to sharp knives and forks. Detergent pods are highly toxic and can irritate your child's skin and eyes and burn the lining of their mouth and esophagus if swallowed.